Juniata Admission Ambassadors (JAA) are alumni, parents and friends of Juniata who volunteer to recruit prospective students. The Alumni Association and the Enrollment Office jointly support this program and its volunteers. To involve alumni, parents and friends of the College in the admission process. 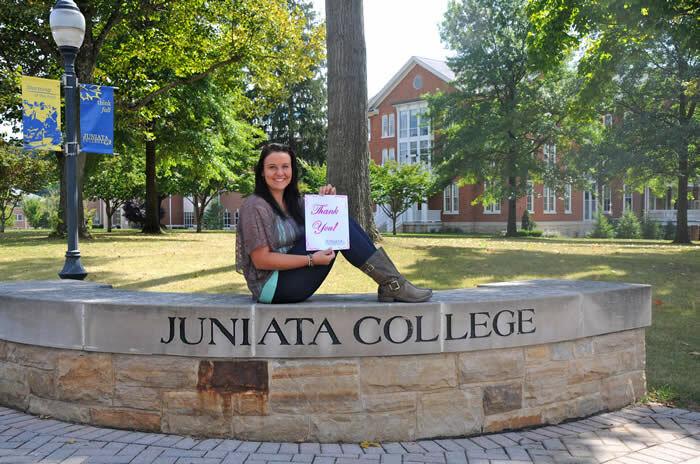 To spread the word about the benefits of a Juniata College education. 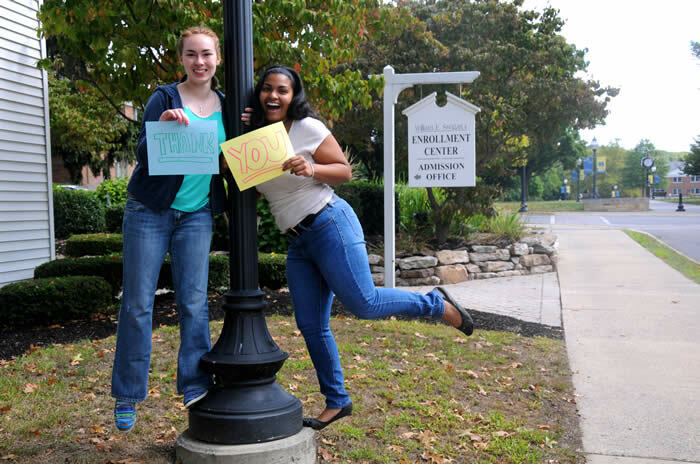 To identify and encourage talented and qualified students to apply to Juniata College. Represent Juniata or accompany a Counselor at a College Fair. Check out College Fair opportunities in your area (map is updated each fall). Please join us and help to extend the reach of Juniata into your area. Contact Karen Beck, JAA Chair, or fill out our online form to get involved! 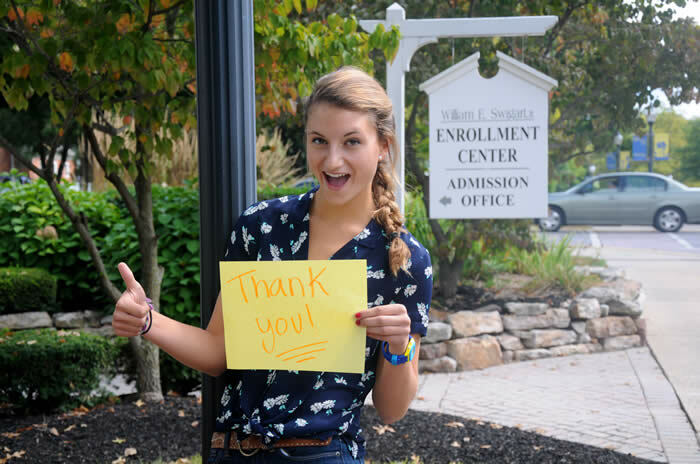 You will find that helping to shape the future of Juniata is very rewarding. Also, it has been shown that students guided through this process with a personal connection are more likely to apply to, and ultimately attend Juniata. These activities matter for Juniata. 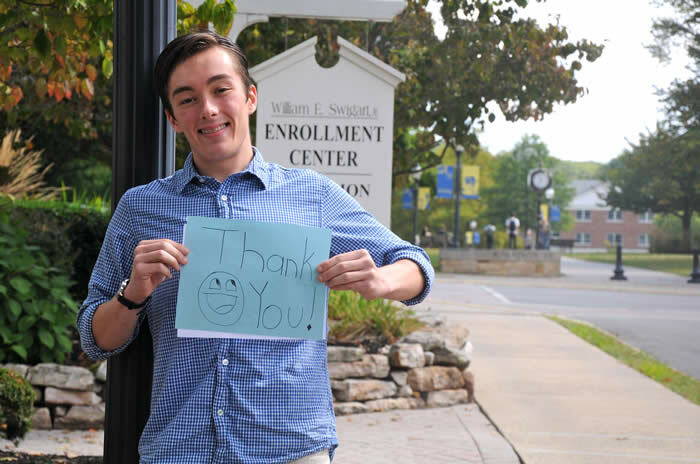 Below are some appreciative students who were introduced to Juniata thanks to a GOLD Card submitted by a JAA volunteer!